When it comes to bathrooms, beauty and practicality are equally important. 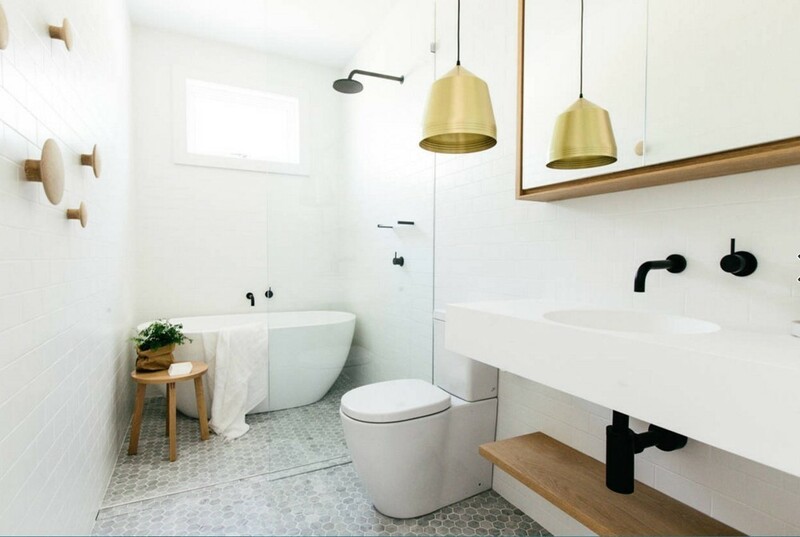 If you are renovating an existing bathroom, adding a new one, or building your entire home from scratch, this is one room you should definitely pay special attention to. Here are some things to take into consideration. If you’re building from scratch, this step is a bit easier than if you’re doing a remodel of a pre-existing bathroom. The first secret to an amazing bathroom is the perfect layout. This will vary greatly depending on how much space you’re working with. If the room is large and spacious, you can work out different zones within it, to separate some of its functions slightly. However, even a tiny bathroom doesn’t need to feel cramped. Think ahead: what parts are non-negotiable for you? What can you do without? What has a viable alternative? Maybe you are dreaming of luxurious baths, but are okay with slightly smaller storage space? Drawing the whole layout, complete with the furniture and fixture dimensions will allow you to find the solution that works best. The secret to a tidy bathroom is actually pretty straightforward: plenty of closed storage space. Forget about all of those pictures of gorgeous bathrooms with elegant exposed shelves full of fluffy towels. In reality, for an average family, that spells constant mess. If you have children, closed cabinets also mean that you will be able to childproof much more easily and effectively. A few scented candles or a quirky toothbrush holder might look nice, but no one wants to see a shelf full of cleaning supplies. Also, when all of the knick-knacks are out of sight, you just need to wipe down the surfaces, and voila – your bathroom is magazine-ready. Why spend money on spas, when you can create the experience at your own home and enjoy it every day? First of all, start with a neutral color scheme and natural materials. Tones of beige, ivory, rust and sand have a soothing, cozy effect. Using natural materials is not only the sustainable solution – it also looks amazing. The most popular trends at the moment lean heavily towards reclaimed wood, terracotta, stone, and even concrete. You don’t have to invest a ton of money into your spa bathroom. Invest in new, super soft towels, some pampering personal care products, and a few carefully selected details. Scented candles or a gorgeous bowl filled with potpourri will fill the room with a luxurious fragrance. If you have the space and enough natural light, a potted plant is a wonderful addition for a bathroom. It will provide a connection between your home and the natural world. Plants have a soothing effect and are beneficial to both our mental and physical health. Light is the key element of home design that sometimes gets overlooked. The truth is, no matter how gorgeous your space is, it will never live up to its full potential if it’s not lit properly. First of all, bring in some daylight, if possible. If you are building a new bathroom, make sure you add a window somewhere, even if it’s not very big. When it comes to artificial lights, a bathroom will benefit from multiple sources. Layering the light in this way will produce a rich and fully customizable scheme. Start out with a strong but dimmable overhead light. Dimming the lights is a wonderful option when you just want to relax and soak in a nice, warm bath. Task lights are indispensable. Work out their position carefully to give you the most flattering lighting with no unattractive shadows. Nowadays, the best way to light your bathroom is with LED lights which come in many different levels of brightness, hues and with or without dimmers. They are also the green option, due to their efficiency. 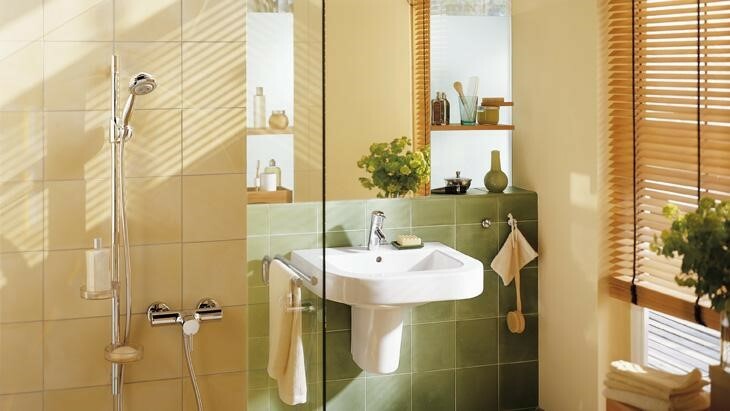 When done right, a bathroom will be easy to clean and tidy. It will also look gorgeous and represent a small oasis of calm where you will be able to unwind from the stresses of the day and wash off (both literally and figuratively) the outside world.